A northbound Chesapeake & Ohio freight approaches the diamond crossing with the Baltimore & Ohio at State Line Crossing, just west of Hammond, Indiana. 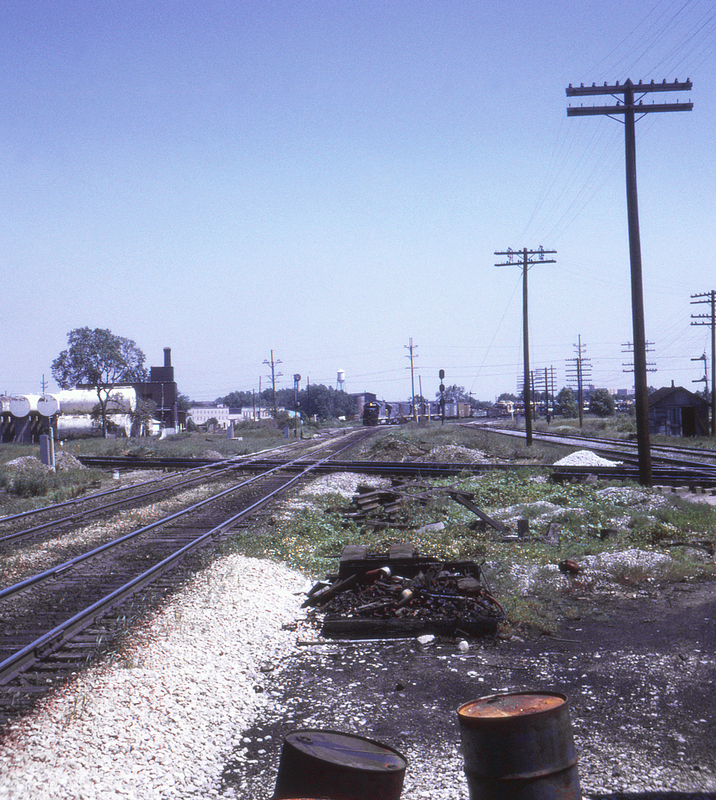 At right is the former Nickel Plate Road mainline, now Norfolk & Western, and the semaphore signals at the extreme far right are the home signals for the Monon's crossing of the B&O and Nickel Plate before it joins the C&O to form the Chicago & Western Indiana main to downtown. Not quite visible at left is the Elgin, Joliet & Eastern which joins the Indiana Harbor Belt just behind the camera where it crosses the other lines.